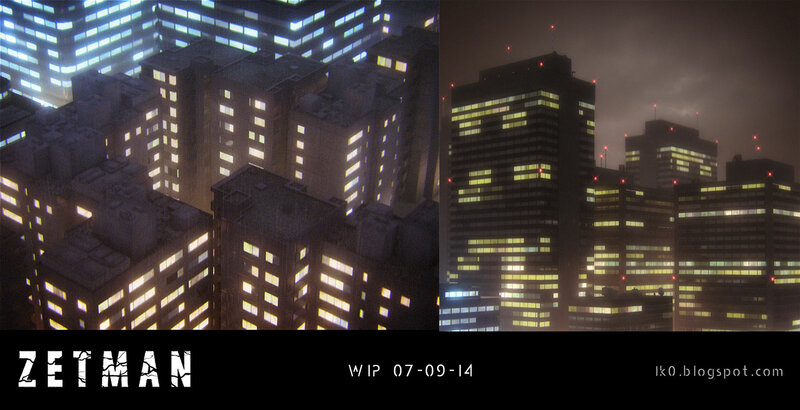 This week I went back on the city wide shot and I played again with the 1st version of the building lights shader I created 2 years ago. Still based on many tiles maps in a composite material for the glow slot, I added new instances of the tile to control large parts of levels. 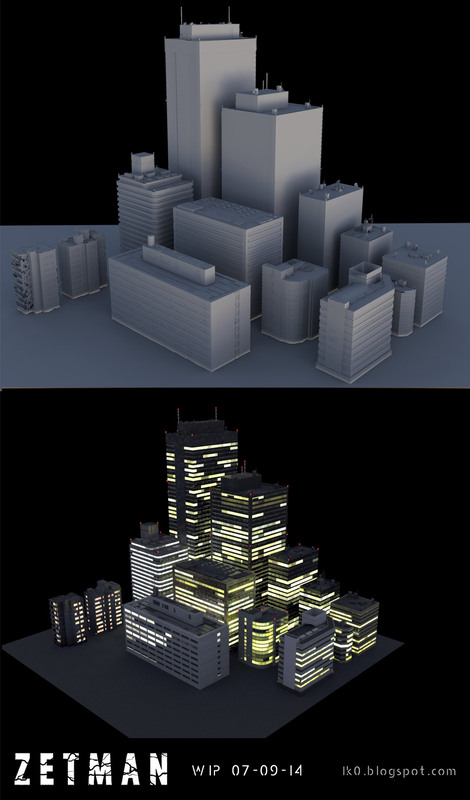 The nice thing with that method, as explained (way) earlier, the glow material lights the scene from one building to another. 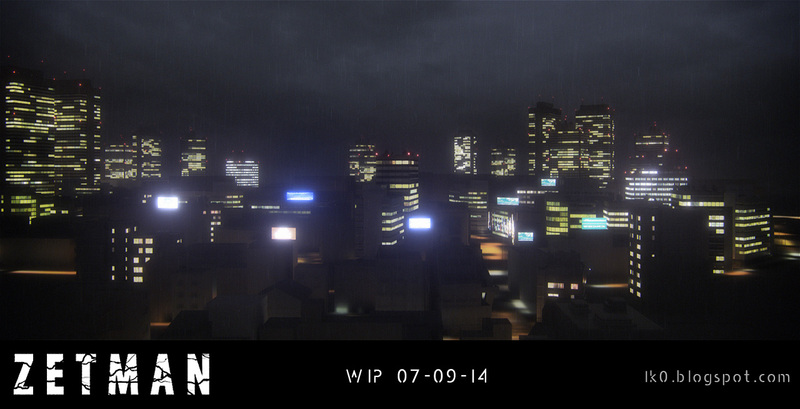 Reflective materials are used for the walls as these buildings will be under rain in the final look. The good news about the workflow of this shader is it uses standard materials and it should work with any kind of render engine. These low poly/low textured buildings won’t be close to the camera. Here is where I am so far in that shot. I imported the new models in my old ghost town scene, set a 28 mm camera and hit render. As said in the first image, only glow materials light the scene with Final Gather, so it’s a pretty light scene, less than 1 million poly for now. This last test took only 8 minutes to render.